This year's league campaign will get underway on Sunday, 14th February away to Laois at OâMoore Park, Portlaoise, commencing at 2,00p.m. The Kerry minor hurlers will compete again this year in in the Leinster minor hurling league and have been drawn in Group 4 with Laois and Dublin. Saturday, 19th March away to Dublin. Semi-finals Saturday, 26th March. All games at 2.30p.m. Manager is John Hennessy (Ballyduff), Trainer is John Barry of St Senans and the selectors are John Healy (Ballyheigue), Jerome OâSullivan (Crotta) and Aidan OâMahony (St Brendans). 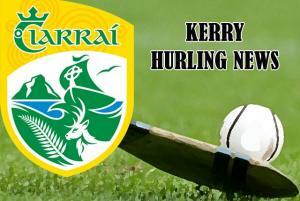 The annual Todd Nolan Tournament will take place at Kerry venues on Saturday, 9th April. At local club level, the North Kerry minor league commences on Sunday, 3rd April, with further rounds on Tuesdayâs 12th, 19th and 26th April. The co. minor league dates are Mondayâs 20th June, 27th June, 4th July with the finals on Monday, 18th July. The co. minor championship quarter finals are fixed for Saturday, 6th August, semi-finals on Saturday, 20th August and the final to precede the co. senior final on 11th Sept.